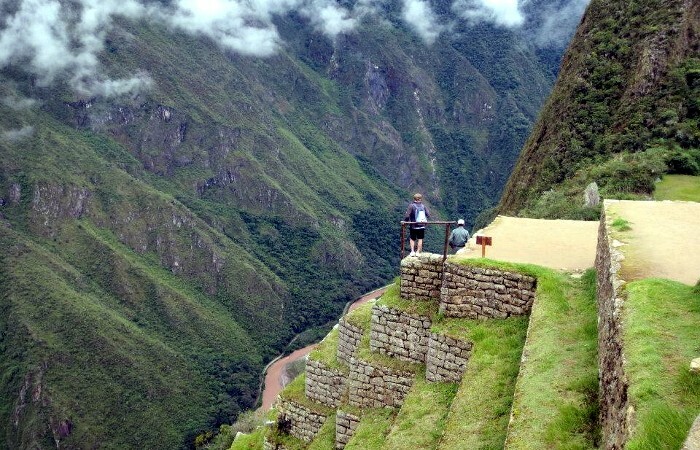 The Ancascocha Trek to Machu Picchu in the Andes Mountains is a unique trail that truly takes trekkers off the beaten path. Listed as one of National Geographic’s 20 dream hikes on their World Best Hikes list. 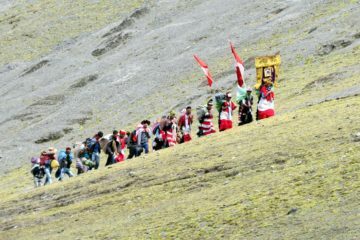 The trek to Acascocha takes travelers through traditional villages like Chillipahua and its namesake Ancashcocha village. 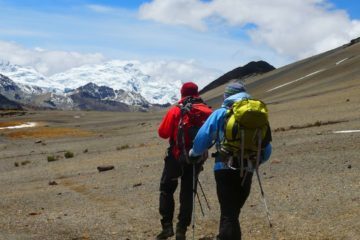 Along the way trekkers will ascend high mountain passes including the high point at the Huayanay Pass (4,550 m/ 14,925 ft), and at the top you will have a beautiful view of the very tall 20,551 foot (6,266 m) mountain Apu Salkantay. We leave our campsite and head northwest, slowly ascending past some small houses at Incaraqay, a community of sheepherders in the high puna. From here a one-hour hike will bring us over another pass at Quchusq´asa (4,500m) with astonishing views of the Urubamba mountain range and continues down into the gulley of the Silque river to reach a wide meadow with a little village called Ancascocha (3,900m.). Here we are in full view of Mt. Huayanay and the Silke Valley. We camp nearby. (B/L/D). 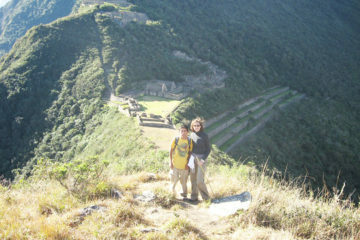 After breakfast we start trekking down beside the torrents Silque River, towards the Sacred Valley of the Incas. On this trail you will find plenty of ¨Huakani¨, the famous big and red Masdevalia orchid, hopefully in bloom. After crossing many little bridges, we will reach the community of Camicancha, where we will camp in a place known for its volcanic rocks, which also has a spectacular view of snowcapped ¨La Veronica¨ and the ¨Pakaritampu¨ pyramid, on the other side of Urubamba River. (B/L/D).